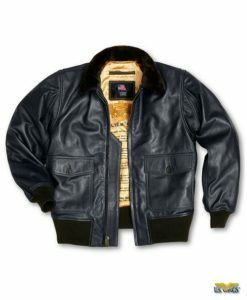 US Wings Lightweight Russet Cowhide Indy-style Adventurer Jacket! Made famous by a certain fedora-wearing, bullwhip-carrying, tomb-raiding archaeologist in four blockbuster movies! But you don’t have to be on the search for the Lost Ark to wear this classic adventurer’s jacket. Made from ultra-supple russet-colored cowhide leather. This special leather is designed to age rapidly for that desirable “vintage” look and is very lightweight, making it ideal for spring and summer wear. We’ve also added an additional inch of length to the body for an even better overall fit. Import. In honor of US Wings’ 32nd Anniversary, we are making this limited edition jacket. We will only produce a small number of these jackets every month until our limited supply of this leather is exhausted. These jackets will be available about the end of November, but you can PRE-ORDER now. (Online: You can purchase the jacket and pay for the jacket ahead of time. Layaway: Call and place your order and spread out your payments up to three months.) Ideal unisex jacket. We will offer a discount to shorten the sleeves on the ladies jacket. Please call for details. Don’t miss your chance to own this outstanding jacket! I received this jacket from U.S. Wings a couple months ago and it’s beautiful. The leather is rich and supple with a deep reddish brown color. It’s just now starting to really break in and lose that “new” look. Had many compliments from friends and family. Sizing is accurate, craft and quality impeccable. Get one before they sell out. Thanks U.S Wings!